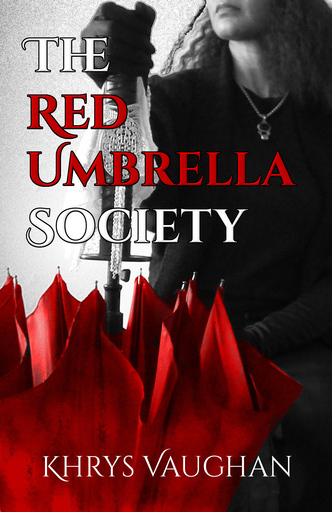 The Red Umbrella Society was created to protect women, prevent them from being pitted against one another, and to hand down the Way to their daughters. Now weeks before celebrating another century of sisterhood, a plot is uncovered that places its future in peril. But finding the culprit may be even more devastating. And force Wyse Woman, Lucille Hanway, to choose between saving her friend and the organization she swore to protect. “I’m in.” Suspended from a cable affixed to the exterior of a 30th story Tokyo penthouse, Blake confirms her position via headset. She detaches the D-ring from her harness and enters through the window. “Exactly. Never believe that ‘resume builder’ line. It’s just another way to say ‘Smile when I use you,’” Blake curtly replies, hastily searching her way through Leif’s penthouse. “I love it when you’re thorough.” Blake jokingly commends her. Blake shifts her attention to locating the artifact. She notices a partially hidden metal and glass curio at the far corner of Leif’s bedroom just as he begins to stir. She removes a slender chrome tube, slightly larger than the width of an ink pen, from the lining of her boot and checks her equipment. Blake walks toward the curio and sees the artifact. She reverently genuflects before it, opens the door, and removes a flattened padded case from the bodice of her black tactical gear. She gently lifts the delicate object and carefully nestles it within the case. Groggy, Leif awakens just as she secures it to her body. He wipes his eyes, straining them to focus on the Asian woman in his room. He starts from his bed, then stops just as abruptly. His eyes bulge at the sight of the red charm dangling from Blake’s wrist, just as much from the weapon pointed at him. “Consider yourself fortunate. But, this is the only warning you will ever receive. Thou shalt not steal!” Blake sternly reprimands him and quickly exits the window. Leif rushes from his bed, but falls to the floor, partly entangled in his sheet. Stumbling to get up, he frees himself in time to see Blake zip line to a waiting helicopter at the next building. Heather, a sixth grader at Visitation Academy, has been sitting off to the side. She looks up from her history book and towards the field at her classmates in gym class. “What a loser! Ever heard of a boy that couldn’t play ball?” a group of girls nearby giggle. “We always lose when he’s on our team!” an obviously disappointed boy says and stomps his foot. Another student nods in agreement. But a third takes sympathy on Jonathan, sniffs himself and a boy standing next to him, then pinches his nose. “Phew! You need to freshen up. Quit yakking and hurry up,” and takes off. The others immediately chase after him; their attention now diverted to being first to the showers. Somewhat relieved, Jonathan lifts his head, but one by one, the remaining boys brush against him as they leave the field. Jonathan sighs heavily. Again with head down, he walks over to his Phys-Ed teacher and hands her the ball. “Keep trying Jonathan. I’m sure you’re good at other things. One day you may be good at this, too. Now hurry on.” She smiles and tousles his hair. Just then, the same group of giggling girls from earlier, cross directly in front of Jonathan, causing him to drop his gear and towel. “Yes, Ms. Stewart!” Startled, she and the other girls scurry off. Heather quickly ties her shoes, tosses her books into her book bag, and heads over to Jonathan. “You’ve improved a lot since last time.” She helps him gather his things, then takes his towel, and gently wipes the sweat from his eyebrow. “Don’t give up ok? I’m sure you’ll get it.” She adjusts his glasses, hands him back his towel, and darts off toward the girls’ locker room, leaving him blushing and speechless. “I do not!” Jonathan shouts back and runs toward the locker room, even more red-faced, but confident. Heather makes it to the locker room just ahead of the girls from earlier. She hears them approaching and quickly tosses her book bag off to the side. Upon entering the locker room, she notices a horizontal bar overhead, positioned between the first set of lockers and the door. Heather peeks out to see the order the girls are walking in, then swiftly perches herself atop the bar and waits. Sara, the seventh grader with a habit of mercilessly teasing other students, not just Jonathan, is last to enter. As soon as she clears the door, Heather uses the bar as a trapeze, and swings from her legs. She firmly grabs Sara’s long ponytail, and loops it through the hinge of the door, raising Sara to her tippy toes. Heather lands right outside the locker room door and quickly retrieves her book bag. None the wiser to Heather’s presence, the other girls struggle to free Sara between sporadic outbursts of pain from the door repeatedly hitting her in the face. Heather pauses for a brief, but satisfying glimpse before turning the corner and continuing to class. “Good Morning…” Blake overhears as she steps through the doors of IHT Global, the world’s oldest global management consultancy and woman-owned corporation. With offices on four continents, its consultants can meet the needs of an impressive and demanding clientele from any location, at any time. The office is abuzz with new interns—candidates selected before graduating from Visitation Academy, who have successfully completed gap year, and are now returning to receive their initial designations and assignments. Should all go well, their training will continue and the black umbrella they carry emblazoned with IHT’s logo, will become red bearing insignia of a different type. If not, IHT will still have gained new highly competent consultants, and continue its reputation for excellence through them. Blake, now dressed in all black office attire except for the red umbrella she carries, departs from her usual hurried pace, and pauses on the way to her office to take in the familiar scene. Gladys, an African-American woman in her mid-twenties, and handler for last night’s mission, sees her across the lobby standing near one of the marble columns. Taking advantage of Blake’s uncharacteristic lapse in motion, Gladys heads over to her, passing clients seated in the waiting area. Some have spread files over the travertine marble tables, poring over them while on last-minute phone calls. The panoramic view screen, seemingly suspended in air against a glass backdrop, has garnered the attention of others—their gaze affixed to world news, market updates, and rotating welcome messages from the leadership at each of IHT Global’s five regional offices. A mosaic marble IHT logo is inlaid into the center of the lobby’s floor. Its beveled letters are of uniform height with the exception of a more prominent ‘H’ atop the canopy of a black umbrella with red interior. And although Gladys has walked across it many times, she never ceases to admire it. “Nope. Probably longer.” They both laugh. Blake playfully punches Gladys’ arm. They continue their exchange down the corridor, barely avoiding Lucille Hanway, CEO of IHT Global, headquartered in North America, who is reviewing a file in one hand, periodically twirling her umbrella with the other. Lucille arches her eyebrow and greets them by name without looking up and suspends the umbrella mid-twirl; bringing it to rest upon her shoulder. The umbrella’s color and insignia draws their attention, along with the sunbeam that has broken through the skylight to dance upon it. Blood red it was, and an almost unnatural hue at that. The sun bounced off each of the seven bevel gemstones inlaid into a weighted fabric of superior quality. Forming the shape of a cross, they stretch across two heavily embroidered ‘W’s—one cursive, the other in standard type, lain over its middle peak, both threaded in gold. The umbrella had worn well over time, retaining its color; its stitching and ribs intact. Its nose cap, engraved with Lucille’s initials and identification number, and collar with the symbol of an umbrella, surrounded the smoothed curved teak wood handle. The light caressing the umbrella’s various points caused Blake and Gladys feel as if they could touch the Society’s history from their time in the present. Only seven such umbrellas exist within the Society. To carry one meant they were Wyse Women—governing elders of The Red Umbrella Society, sworn protectors of all Eve’s daughters; each, presiding over an IHT regional office, except two that always remain at large. Wyse Women were usually legacies, some by several generations, and thus intimately familiar with the Society’s history. But, becoming wyse is about commitment, loyalty to the Sisterhood, sacrifice because of it; never succession. And once the designation Wyse is bestowed, being entrusted with setting the direction of the Society, determining how best to handle threats against Eve’s daughters, and reclaiming a history few know exist. It was the Wyse Women who elected to call women inside the organization, ‘Daughters’, a cherished position denoting attachment; rather than member, devoid of relationship. Yet, though Daughters, there are limits. 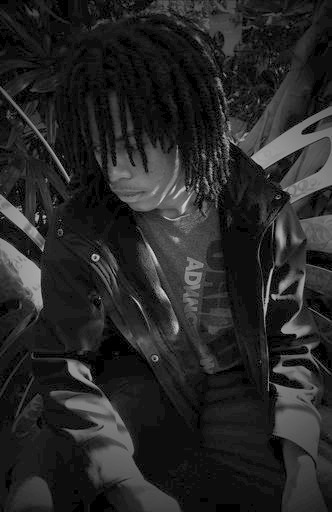 Everything must be weighed in light of the Society’s creed; justified by its tenets. Sometimes, for the sake of sisterhood, they might turn a blind eye. Other times, they must pluck it out. Heather stops walking, almost afraid to turn around. “Family, Sister Carmencita? But I don’t have a family. My mom and...” Heather rambles. “Yes, Sister Carmencita,” Heather uneasily replies; unsure what to expect. “Good.” Sister Carmencita reassuringly places her hand on her shoulder and adjusts Heather’s collar, pinning a small gold filigree umbrella on her left lapel. Heather reaches the end of the hallway just as the bell rings. Before going in, she looks back toward Sister Carmencita, touches the pin on her collar and smiles. Sister Carmencita returns the smile and walks away. Heather enters the classroom, taking a seat two rows over from Jonathan who upon seeing her, immediately blushes. A federal agent’s family gets caught in the crossfire of his hunt for an infamous criminal. 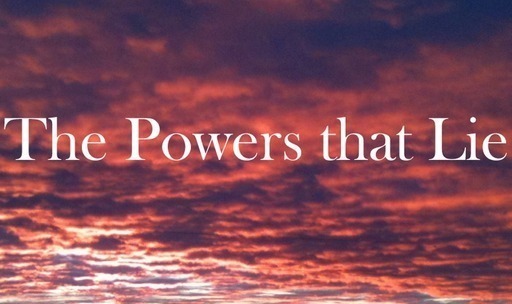 During the course of the pursuit, he discovers power is not enough, justice lies, and myths are real. A commander over a regiment of fallen angels is unusually intrigued by the object of his latest assignment. Not fulfilling his mission will give the demons under his authority the opportunity they've eagerly awaited to usurp him. But success may hold more dire consequences than he, or they, can imagine.